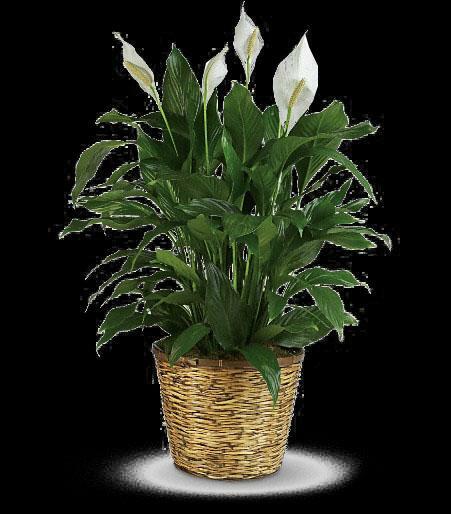 This large spathiphyllum is delivered in a charming 12" basket. Tall is a great call! Approximately 27" W x 40" H.